The ONLY northstate contractor with an A+ rating by the Better Business Bureau for 15 consecutive years. 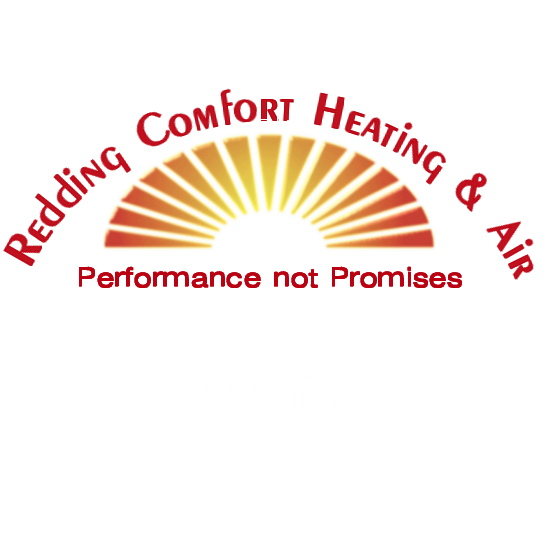 Redding Comfort Heating & Air specializes in repair, maintenance and replacements of all makes and models of air conditioning and furnaces. This includes Heat Pumps, Gas/Electric packaged air conditioning system and split a/c and furnace systems. We install ductless mini-splits whose popularity is gaining in the United States. A ductless mini split heating and air conditioning system can be used to heat or cool your home or office by rooms. Instead of running a big power central air conditioner or furnace, a mini split ductless systems allows you to cool or heat only the rooms you are using with the opportunity to dramatically save on energy costs. Redding Comfort is proficient in all local, regional and national rebate programs. Whether its a $25.00 rebate on an air conditioner tuneup via Redding Electric Utility or a national rebate program on Hi efficiency equipment, we stay in the know to help you make the right decision when purchasing a new system. Redding Comfort offers financing through Synchrony Financial and have several financing programs available. If you need financing for a repair or a replacement, we&apos;ve got you covered with easy financing with zero interest programs or for as little as $100 per month we can get your new heating and air system. (On approval of credit). Redding Comfort replaces water heaters with Energy Star rated appliances. Whether you need your water heater replaced or want to conserve water with an on-demand water heater, we&apos;ve got you covered. Duct cleaning is another offering we have at Redding Comfort Heating & Air. Indoor Air Quality is super important especially if you have small children or prone to allergies. Call us and we will be happy to fill you in on the latest in duct cleaning. Redding Comfort installs wine cellar cooling and humidification systems. Whether your collection is small or massive, we have a solution to keep the wine cool and the corks moist.